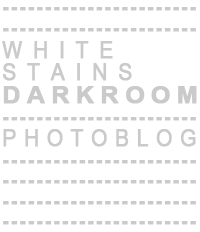 White Stains Darkroom: 264. "Walk in Silence"
Moist darkness in the early afternoon. Oxford, Great Britain, 2015.